I admit it. I save empty seed packets. I find them too pretty to just toss into the recycle bin. I’m sure many of you gardeners out there will agree. 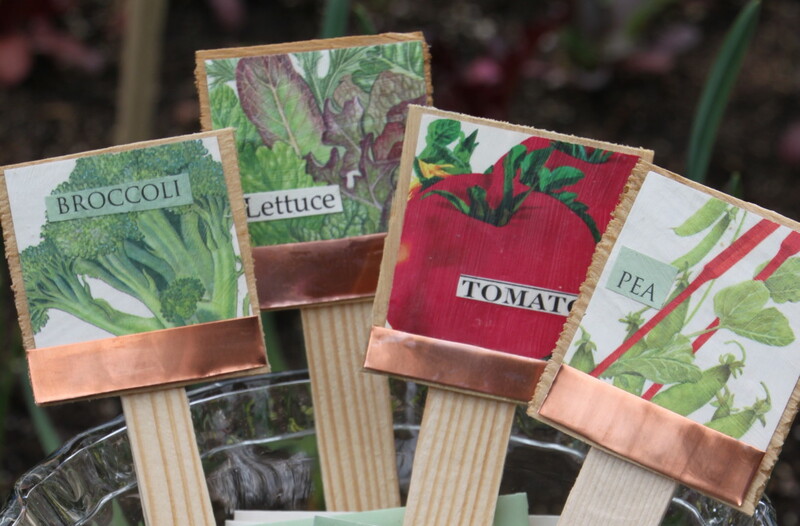 Typically each year I create garden markers from simple Popsicle sticks. Often they get lost or become victim to my scavenging children and their fairy fort creations. 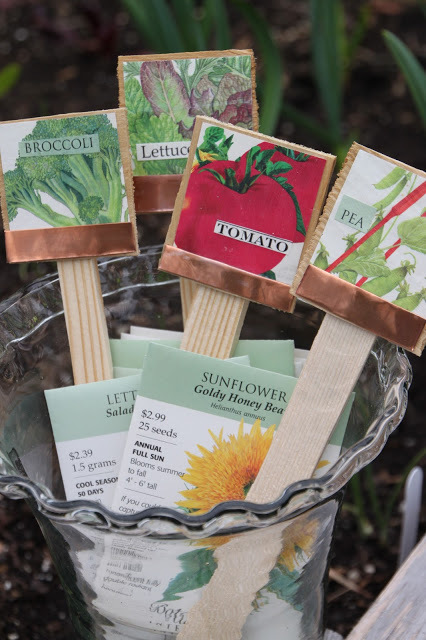 This year, I decided to recycle the prettier packets into rustic garden markers. The idea was simple, I needed to create a garden marker that served a few purposes.